This month on Goodblacknews.org, we’ve got 31 days of gift ideas, likes, wants and have to haves. We are easing into the holiday spirit, so here are a couple of items to get you started. *Lesa is wearing Uniqlo (jacket), Pretty Persuasion (hat) & Rag & Bone (t-shirt). Pharrell just continues to expand his brand as he has just launched a Billionaire Boys Club mobile shopping app called Spring. BBC has stocked up with a new set of hoodies that you can now purchase from the mobile app. So I’m sure every huge billionaire boys club fan will be downloading the app asap. If you haven’t downloaded Spring , you can get your first look here. Pharrell’s hoodies came just in time for the chilly weather and cold nights, so make sure you cop yourself a few. It may have taken them longer than usual, but Nike knows a good thing when it sees it regarding Kevin Durant. According to reports, the shoemaker put an end to speculation of the NBA star jumping ship to Under Armour by presenting a deal with an overall value that could rise to $300 million or more if his business continues to rise. Under Armor’s deal with Durant, which he was on the verge of signing, involved an offer between $265 million and $285 million. Considering a possible transition to the Washington Wizards when he becomes a free agent after the 2015-16 season, Oklahoma City Thunder fans were a bit on edge about the move to Under Armour. Sources tell ESPN that Nike countered it’s rival’s deal with its high-value offer to Durant and the belief that it will keep the Oklahoma City Thunder star for the next 10 years. Durant’s current seven-year deal with Nike for a guaranteed $60 million is expiring. Initially, the company, offered Durant about $20 million a year in a deal that was far from what he had in mind. Hence, the appeal of Under Armor. ESPN reports that Nike officials told Durant and his team at Jay Z‘s Roc Nation Sports on Saturday that it would step up enough to allow Nike to keep him in its robust stable of basketball endorsers that includes LeBron James and Kobe Bryant. Although the exact Nike offer for Durant isn’t known, sources revealed to ESPN that Durant should make more — in base and royalties — than the Thunder will pay him over the next two seasons ($41.2 million). 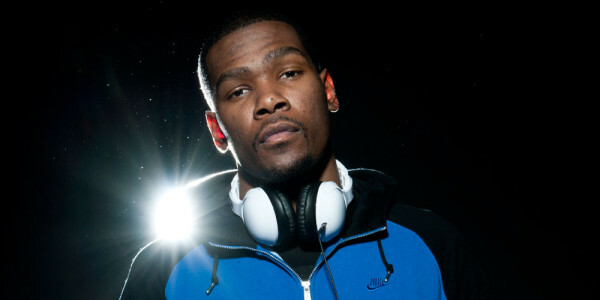 Despite the big payday, sources close to Durant say the decision of which company he would align with weighed on him. A return to Nike, the sources noted, comes with a sense of relief because Durant can still make significant money without being associated with the risks of Under Armour’s fledgling shoe business. SportsOneSource, a market retail-tracking firm, noted that Durant’s signature “KD” shoes made $175 million at retail this past year. Although Nike had used the “KD” logo since 2008, the company was granted the trademark for the brand in January. With Durant staying with Nike, Under Armour now finds itself back at square one. The shoe company, which acquired Golden State Warriors guard Stephen Curry away from Nike last year, missed out on Los Angeles Clippers forward Blake Griffin, who returned to the Jordan brand.